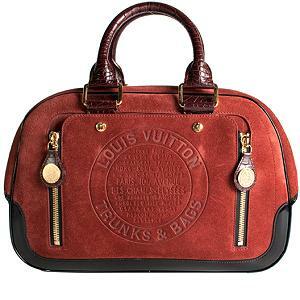 The Louis Vuitton GM is a spacious handbag in suede calf leather with double-zippered pocket and pressed stud detail. The inside is lined in LVâs signature monogram micro lining. This is a key piece for travelling. We have two in stock. Come shop at BELLISSIMA !